Armand Jourdain is a French self-taught musician who likes to blend djent to jazz and world/folk music. It’s really not the other way around because there is just so little heavy moments compared to the amount of lighter ones that it can’t be classified as a heavy metal release. This short, three-track EP maintains this style of keeping the djent just for the more intense parts. This is a good trick, as it allows for a wide dynamic range, and the rise in intensity can be truly felt, rather than implied. However, it most likely turns off most djent kids. 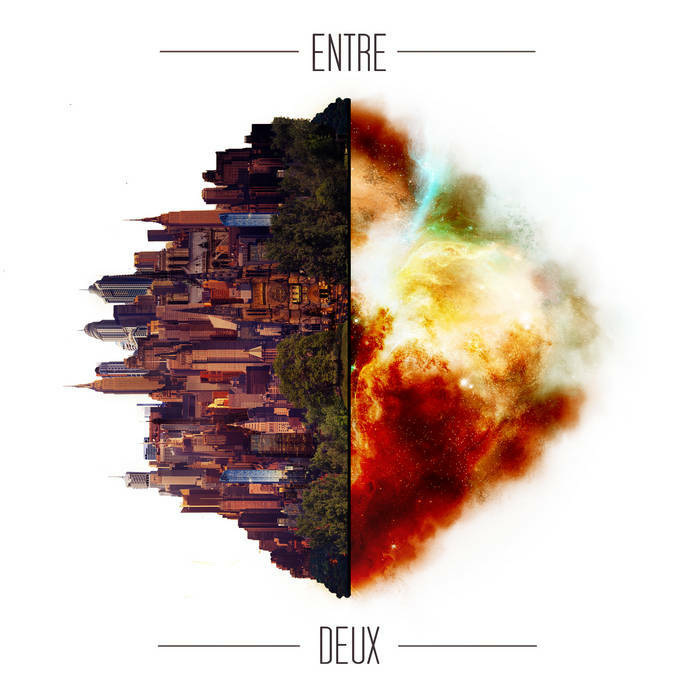 In Entre deux, Armand brings in more electronic elements, and also a few vocal, choir-like parts, which are both great additions to his sound. The electro part I’m referring to is at the beginning of “Frontières” while the choir takes place in “Limbes”. Armand’s skills and compositional talent have improved a lot since his first EP “saṃsāra”, which came out just last year. This one felt a bit wonky and immature, but there were the seeds of what is becoming a fully flowered tree. Of all his material, I’d say that Entre deux is the best yet. It’s more organic, more diverse, and better executed than the others. For this one, the djent sections are reserved specially for the last song, the climax, “Cimes”, and it’s way more subtle than on “Ishâ Vasyâm”, for example. It’s not in your face, and it’s hidden under all other layers. The djent-infused jazz-and-world fusion is an interesting concept that oughts to be further exploited. If you want more, check out Clément Belio and Itzamna.